Kiwanitalk with President Kavalhuna: Why Henry Ford College? 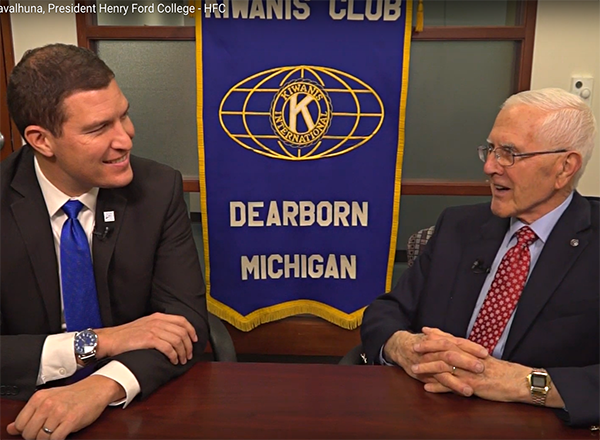 Ray Scoboria of the Dearborn Kiwanis Club interviews Henry Ford College President Russell Kavalhuna about the students, programs, purpose, and future of Henry Ford College. Henry Ford College is celebrating its 80th year. President Kavalhuna talks about the deep community connection with the College, the value of an HFC education, the careers we prepare students to undertake, the importance of community colleges in the nation's future, and the rich culture and experiences available to everyone at Henry Ford College. The interview is 30 minutes long.